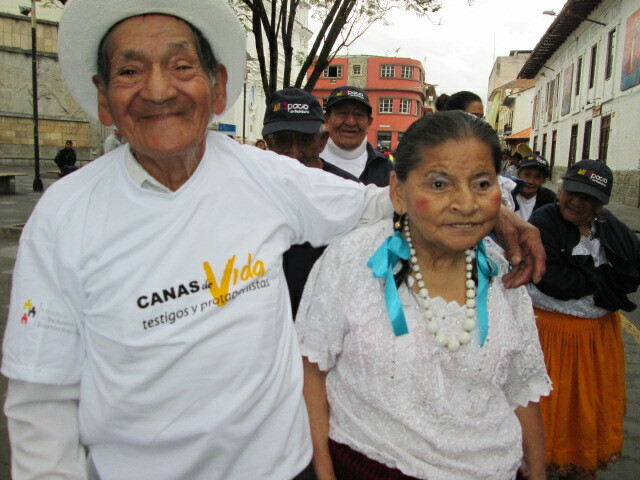 October 1 is International Day of Older Persons. 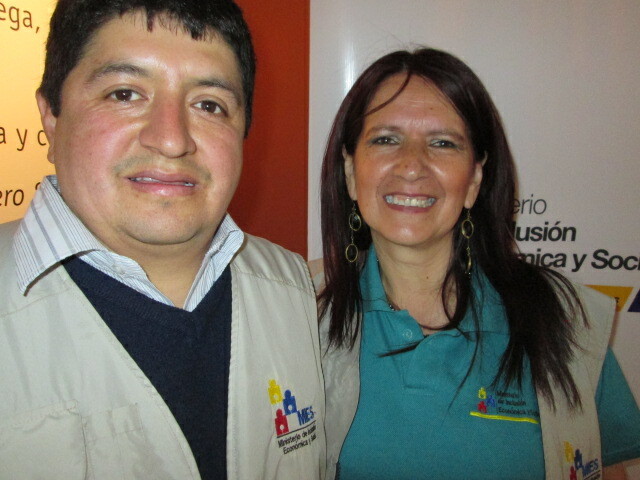 It has been recognized as such since the acceptance of a UN decree December 14, 1990. 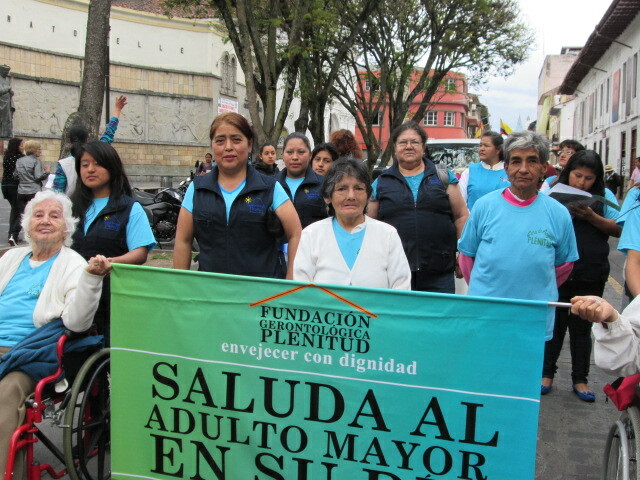 According to the World Health Organization, an arm of the U.N., there are 600 million persons around the world who are 60 or over. 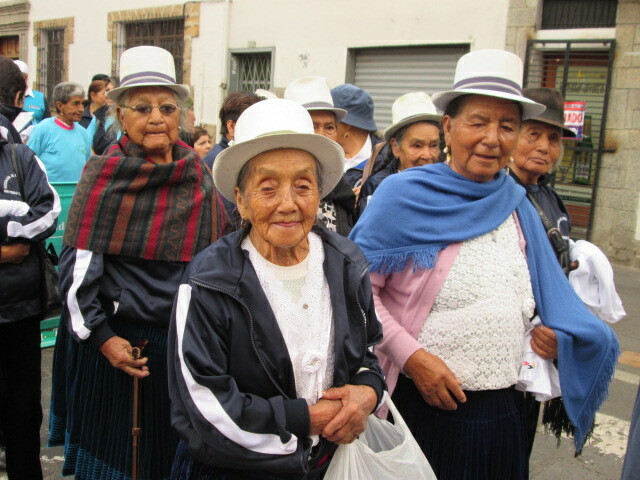 By 2025 the number of older adults is expected to double, and by 2050, there will be 2 billion, the vast majority of whom will be from developing nations. 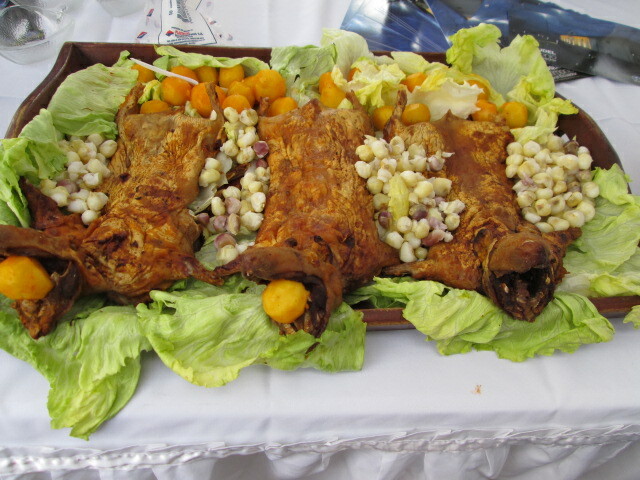 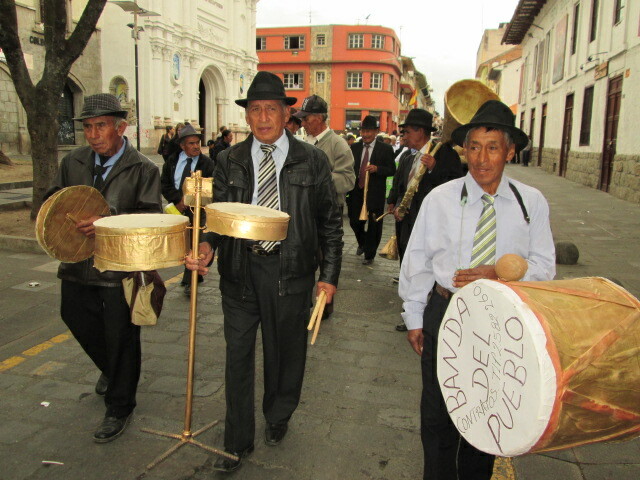 One such developing nation is Ecuador which celebrates this day with parades and festivities in cities nationwide. 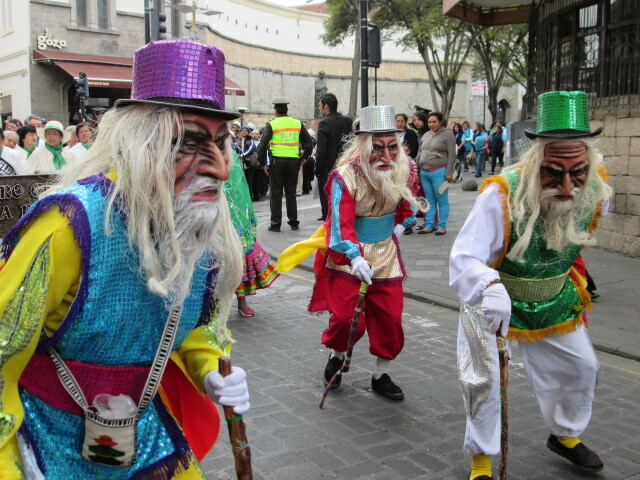 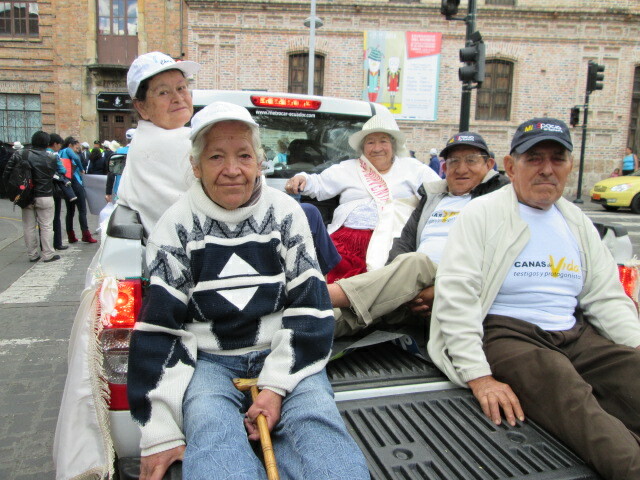 Seniors in Ecuador, whether from privileged backgrounds or farming communities, participate with gusto. 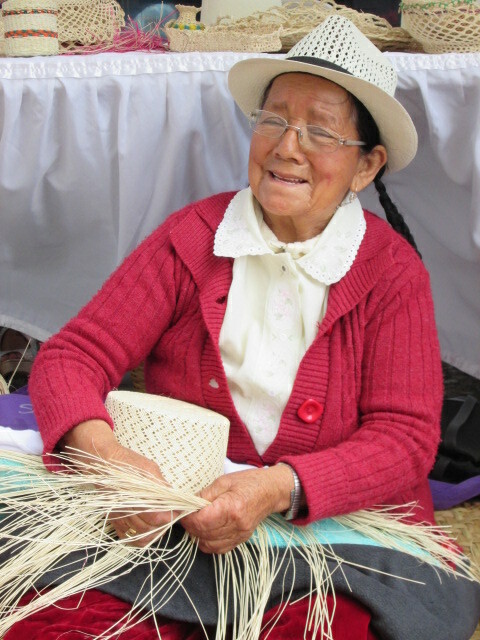 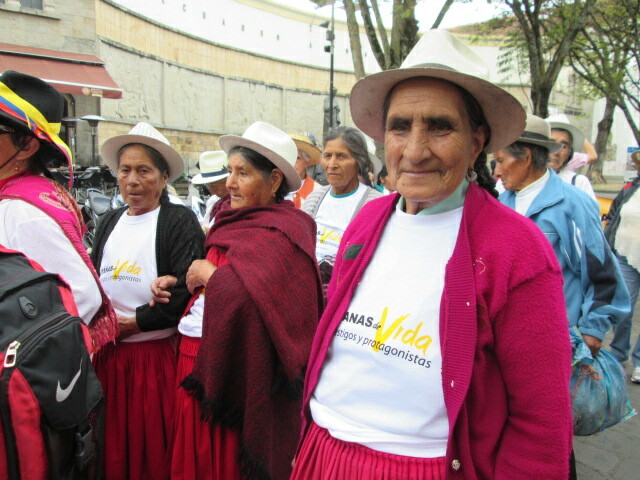 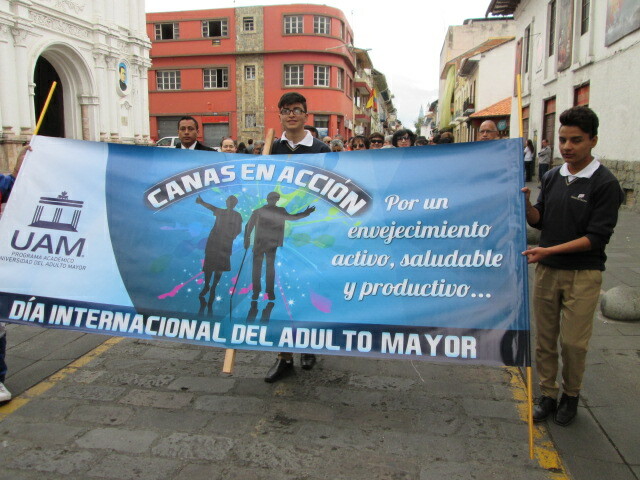 In Cuenca, an Andean city, the province of Azuay, the city, national government social services (MIES), assisted living homes, and the University of Older Adults participate. 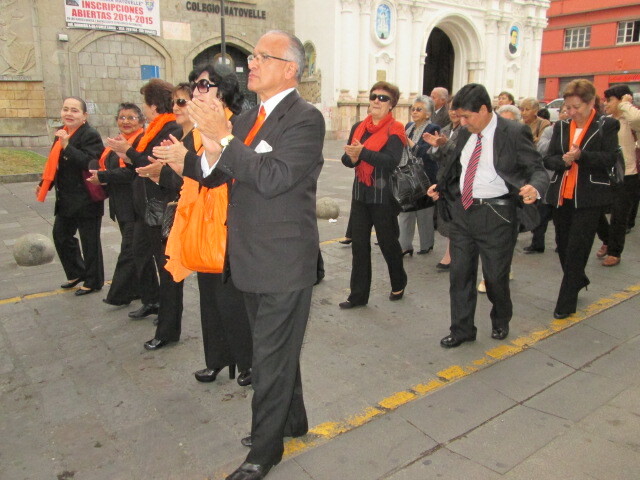 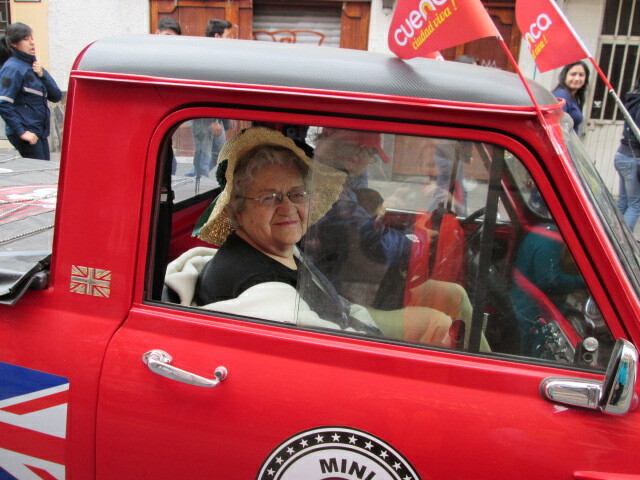 Yesterday, according to MIES, over 1000 seniors marched in the parade from the corner of Borrero in front of a MIES office, all the way down Calle Larga, a main city street, to the Banco Central, about a 1/2 mile away. 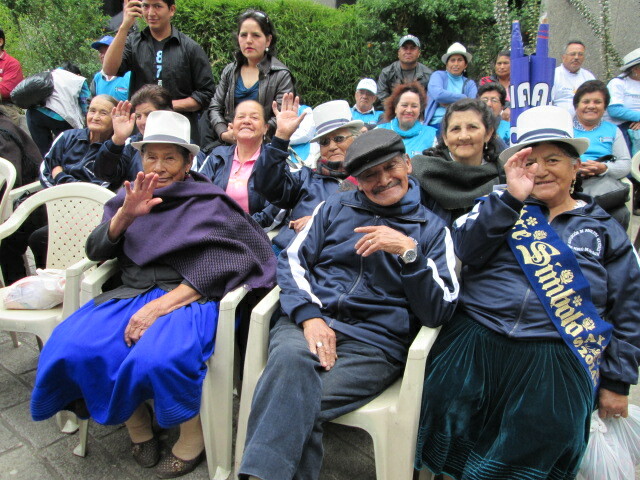 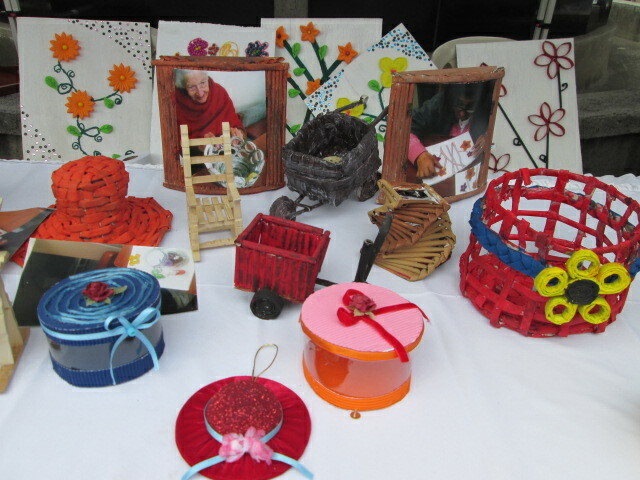 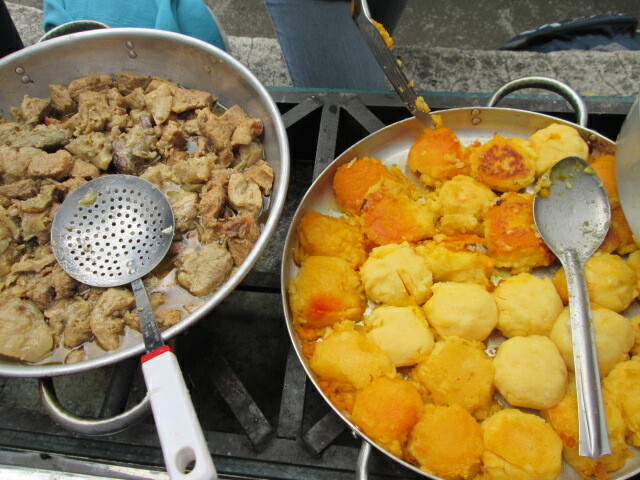 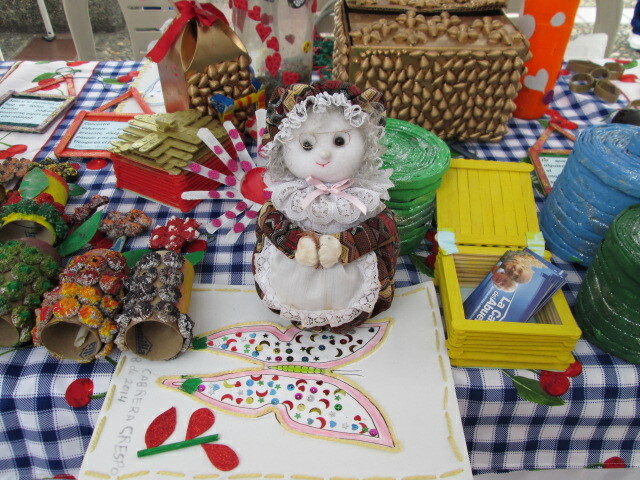 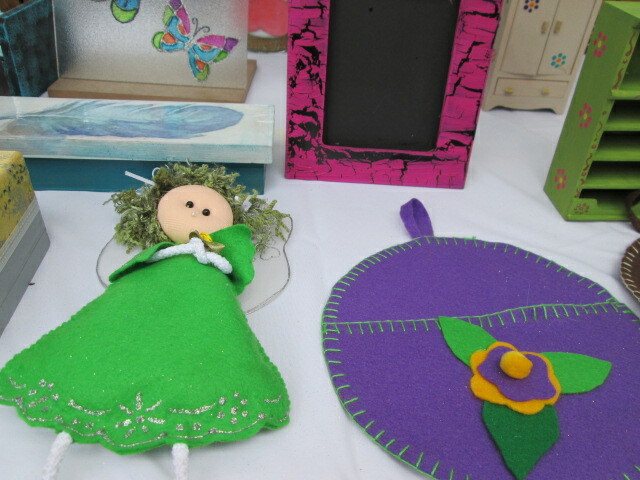 In the courtyard of the Banco Central there was dancing, a senior band, a play, Ecuadorian food, and handicrafts made by seniors.